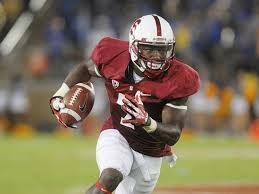 With the injury to WR Jordy Nelson, Ty Montgomery will be given a chance to be a slot WR where he is probably best. Montgomery has good size and the ability to make big plays in space. He is also a good returner, so he will find his way on the field. Abdullah was picked as a replacement for RB Reggie Bush who could possibly share the load with Joique Bell, but with Bell out with injury Abdullah has shown that can really pound the ball. He is has a good blend of size and speed with the ability to catch of the backfield; he could be what this offense was missing. Waynes will be brought along slowly, but he should be playing to his potential by midseason. He has the size and all the talent to be a #1 shutdown corner and HC Mike Zimmer knows how to get the most out of his CBs; Waynes will be given every opportunity to move up the depth chart in a division full of passers. Goldman is a huge defensive tackle with the ability to stop the run with his strength, but he also has the athleticism to play DE. He will be used as a NT in this defense and he has the motor to draw double teams proving to be too big for most centers. Victor Beasley is a solid pass rusher who has the quickness and athleticism to get after the QB despite being undersized causing the move to OLB. However, HC Dan Quinn could use Beasley similar to how the Seahawks did with Bruce Irvin making him immediately effective with his skill set. Anthony is a huge linebacker who was a tackling machine in college, but he also has good quickness and athleticism. Anthony should get a quick vote of confidence playing under DC Rob Ryan who loves aggressive players that he can move around. Anthony has the ability to cover, stop the run, and rush the passer. Due to an injury to 2nd year WR Kelvin Benjamin, Funchess has to step up as another huge WR who seems like the perfect fit, but he will have to show that he is ready. Funchess is a WR/TE hybrid player who knows how to use his size to jump over defenders and make plays in the red zone; however he will be relied on early to be a complete WR. The Bucs needed a new face of the franchise and they have found one in Winston. He will be the starter this season, for the season, injury pending. Winston has a rejuvenated RB in Doug Martin and two huge, skilled WRs to throw it up to in Vincent Jackson and Mike Evans. On a team that could always use offensive playmakers, Lockett will fit that need as he is an explosive runner in space and a great return man as show in the preseason. 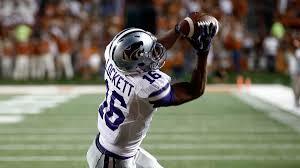 Lockett could be used similar to the role they had Percy Harvin in before, making this offense that much better. The Cardinals needed a power complement behind Andre Ellington and Johnson will show why they picked him with his physical running style. Although, he had struggled in the preseason, Johnson will find his way into the some carries, especially around the goal line. The 49ers defense loss a lot of pieces this offseason and a key player was OLB Aldon Smith. Eli Harold is another athletic prospect with pass rush ability and he could see time early on a defense looking to regain its dominance; Harold will help them get after the QB. Gurley was a very tough runner in college and the Rams have been really patient with his recovery from injury despite his desires to see some time on the field. However, by the time he is 100%, Gurley will show the power and speed which makes him an every down back and prove why he was a top 10 draft pick. Chip Kelley doesn’t usually value offensive skill positions, but he chose Agholor early which shows that he sees something special in him. 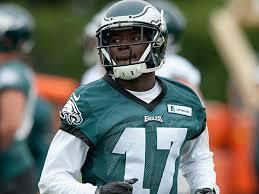 Agholor will be given every chance to move up the depth chart and with his route running and quickness; he will have a lot of opportunities to make plays lining up inside and outside. 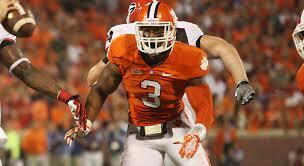 Jones is a solid, physical defensive back with good recovery speed and the ability to make plays at both CB and FS. The Cowboys need someone to step up in the secondary and the rookie Jones should make both coaches and fans happy. The Redskins coaches love what Jones brings to the table and he appears to be the real deal. Jones is a huge back who runs with good strength and the physicality; teams will be afraid to tackle him after Alfred Morris wears out the defense. Flowers is a huge tackle who will be throw into the fire at LT due to an injury to LT Will Beatty early in the offseason. The Giants O-line was already in need of help and Flowers has the size and strength to be a consistent run mauler while bringing some much needed toughness upfront that Eli Manning will appreciate.